UC Browser is an internet browser used predominantly on mobile phones in India and Indonesia. It is owned by Alibaba, a company well-known to dropshippers and bargain hunters. UC Browser was virtually unknown outside of Asia until it took the number 2 browser position. These are the keys to its success in countries like India & Indonesia – where it is already the most popular mobile browser. The browser is ideal for low-end phones or phones with poor connectivity. So it fares well in countries where data and connection speeds is slow or unreliable. It takes up less space on phones and offers faster operation online than Chrome. 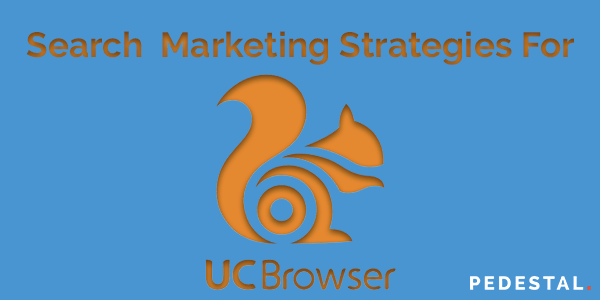 Do I need a separate search marketing strategy for UC Browser? This depends entirely on your market. For most markets, the answer is probably not. Even though UC Browser is the second most used browser, it has a specific market. If your business doesn’t market to Asia there isn’t much point at focusing on UC Browser at this point. However, if your clientele is based in Asia, you may want to focus more on strategies for UC Browser. There is a lot of growth in the Asian ecommerce market, and it is projected to expand greatly in the upcoming years. In Unstoppable Ecommerce Marketing Strategy we addressed the projected dramatic increase in Ecommerce purchasing in China and India. How do I get discovered on UC Browser? The first thing to remember with UC Browser is it’s aggressive ad-blocking. That means ads and pop-ups are not going to be seen by people using the browser. Yes, there are paid newsfeed placements on the homepage. But these can be turned off by the user and are largely ignored by users. With AdWords, Youtube, and display ads out of the picture for UC Browser, you will want to put a larger focus on your SEO marketing. That doesn’t mean you need to stop all paid ads in Asian countries, but you may want to place a higher focus for them on desktop – where UC Browser is less dominant. How do I rank on UC Browser? Search engine optimization for UC Browser is still a tricky question to answer. They have introduced an SEO feature, but it’s still new and a little clunky. Following best practices for Google SEO seems to yield the best results so far. Especially with a mobile focus. Many of the users are still using Google search within UC Browser, so the rankings there follow Google. The SEO adaptations made by UC Browser so far do seem to be in the same vein as Google’s as well. So it is generally best not to stray too far from this. Especially since Chrome remains the dominant desktop browser, even in India where UC is most successful. What you should be doing for SEO on UC Browser, is putting a heavy focus on mobile readability. That includes keeping site speed as fast as possible. Tools like Optimizilla can reduce the size of images, which increases page load speed. It’s not just technical readability that requires attention, but also user experience. Try chunking your text – small paragraphs with only 2 or 3 sentences. This is easier to read on mobile screens. The chunking technique is especially useful when combined with sections broken down under headings and subheadings. This compliments the scanning reading style most people use on mobile. Yes, UC Browser uses an ad blocker that effectively blocks out AdWords and display ads. But There are still other options available through social media advertising. Social media ads are not being blocked by the browser. For people with poor connectivity or limited data plans, UC Browser solves one of Facebook’s largest problems. Facebook has long been criticized for it’s high amount of data it uses on mobile. UC Browser reduces the amount of data people spend to use Facebook, and it also reduces the load times. As a direct result more people, specifically in India & Indonesia, are using Facebook more frequently. That means your Facebook ads now have greater potential reach, and can be retargeted with greater frequency. As well, they are now being seen more on mobile, where they were once mostly shown on desktop. Browsing Facebook through UC Browser seems to have a preference for image or suggested post ads over video. This makes sense since videos take longer to load and speed is a primary purpose of the browser. The increase in Facebook traffic adds value to your organic social media content strategy as well. But, be aware of the the Facebook algorithm update that is limiting the reach of organic brand posts. Completely revamping your website for UC Browser users is unnecessary. For the most part, following Google’s core ranking signals is enough to suffice. But one thing you should consider is your use of pop-ups. If a significant source of traffic comes from UC Browser, you may want to avoid pop-ups for your call-to-action (CTA). The browser blocks pop-ups, so any CTA you use should be featured on page. If pop-ups are part of your strategy consider a landing page without them. You can direct your Facebook ads from mobile in UC Browser dominated countries to this page. Overall, the key to search marketing on UC Browser lay in understanding how customers use smartphones and following standard best practices for SEO. The largest adaptation is to PPC with ads being blocked. Your best bet is to monitor results through analytics and determine how big an impact there is. If your AdWords campaigns are suffering, look to social media marketing as a solution.